Many mothers of the bride (and groom!) 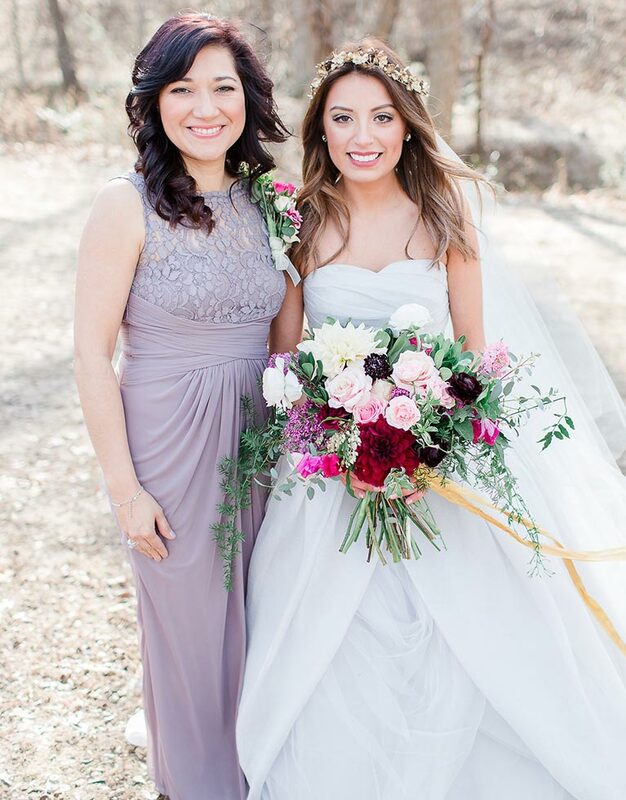 seek guidance when the time comes to find the perfect dress for their child's big day, and we make it as easy as 1-2-3. The most important thing to remember is that finding a great fit must come first. It will be a long day, you will be quite active–colour us impressed if you don't have to tackle a few more tasks after you're already dressed–and you'll pose for a lot of photos. 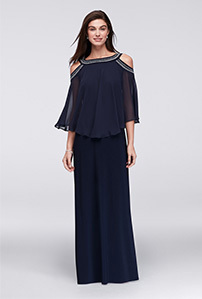 The last thing you want is a dress that requires tugging and nudging to keep in place. Think about what you usually feel good wearing and then take it to the next level. Do you gravitate toward form-fitting silhouettes? Why not try a trumpet gown? Does your temperature fluctuate easily? Opt for a dress with a removable jacket. Do you feel confident in trousers? How about a dressy pantsuit or a jumpsuit? Prefer a bit of give? Stretch lace and matte jersey fabrications feel almost like your go-to athleisure wear, we promise! You'll be happiest if you prioritize comfort. But that's not to say you can't have a look that's both comfy and chic! What sort of wedding will it be? 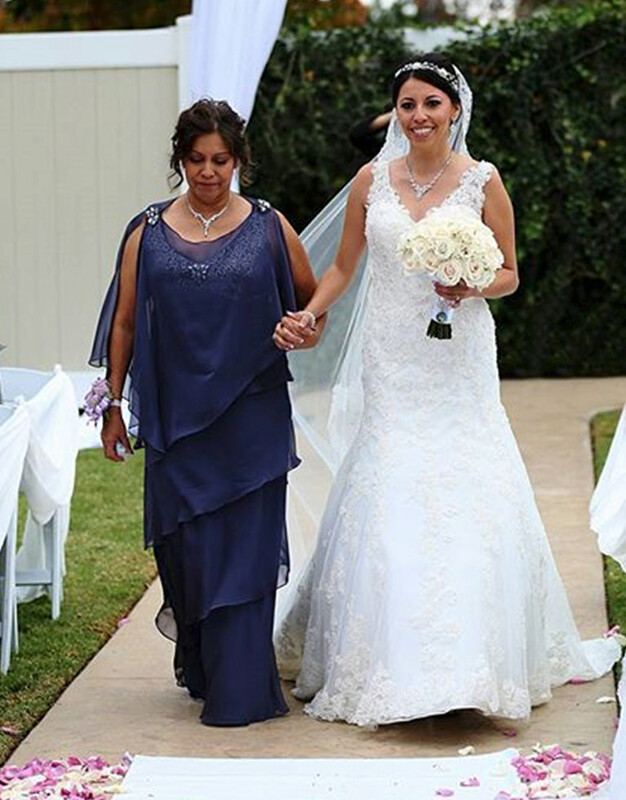 The formality of the ceremony and atmosphere of the venue will help inform the length of your dress. Having a religious ceremony, a glitzy reception, or both? Go for a formal mother of the bride dress, which usually entails a floor-length silhouette with a generous amount of sparkle. 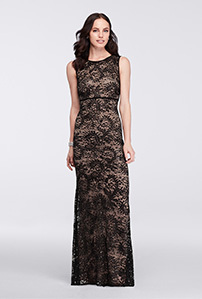 Another formal-yet-fun option is a tea-length dress, which shows off a great pair of shoes. 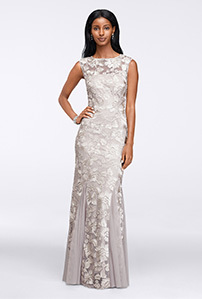 Most of the time, though, you can't go wrong in a knee-length mother of the bride dress and refined accessories. This will work well for a semiformal wedding (a classic dinner-cocktails-dancing affair) or at an informal gathering (an after-party celebrating a small ceremony, or a destination event). Dresses for mum start at £99.95. There are so many ways to approach colour. You can go with your tried-and-true favorite or branch out a bit for the special occasion. Coordinate with the wedding party by wearing a lighter or darker shade of the same colour, or choose a versatile neutral–navy, champagne, and black are always elegant. 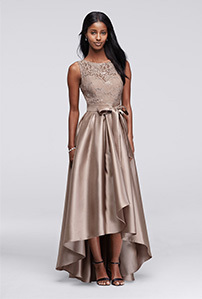 Also consider what colour the other mum of honor will wear. Chat a little with her about the colours you love, the wedding colours, and how you'll put your own spin on them, then see if she is on the same page. You don't have to blend in with the bridal party or identically match your counterpart, but a bit of harmony is an encouraging sign for all that is yet to come. Let your own personal style shine through, no matter what dress you choose.